As a private cloud partner, it is recommended that you back up various components of your system. For more information, please reference the Backing Up the Anchor Server Knowledgebase article. In the event of data loss or data corruption (for example, an advanced Ransomware attack) you can recover root data by restoring the root’s file store (raw binary data) and root store (metadata) from the exact same point in time using your backups. Note: SaaS partners should contact Axcient Support to recover roots. In the administrative web portal, navigate to the user account, Team Share, or backup that needs to be restored (the affected root). For example, to find an affected Team Share, click the Shares tab, and then click the Browse button next to the appropriate Team Share. You will be redirected to the end user’s view of the Team Share. 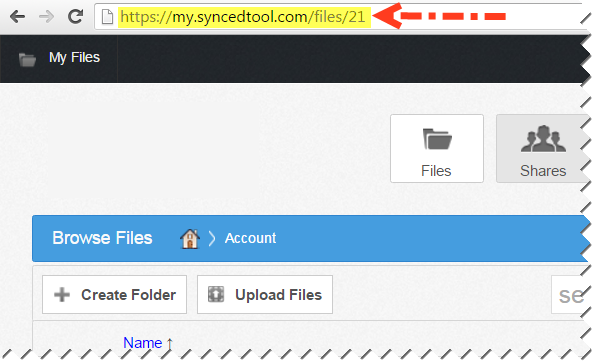 Capture the URL of the root (for example, https://my.syncedtool.com/files/21). The URL takes the form of: https://[application server]/files/[root subscription id]. Using the URL, locate and record the root subscription id (in this example, 21). Note: If you need to restore multiple roots, you must find the root subscription id for each affected root. Root store databases and file store data are stored in files and folders that use a hex value. To find the root database in the root store, and the files in the file store, you need to convert the root subscription id value to a hex value. 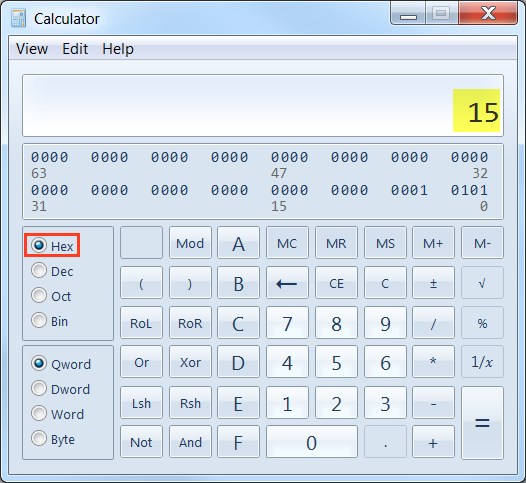 In the Calculator toolbar, click the View menu, and then select Programmer. 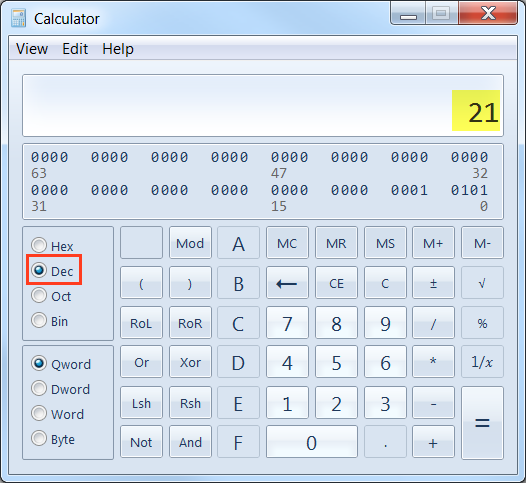 The Calculator program will now display in Programmer mode. With the Dec radio button selected, enter the root subscription id value. Click the Hex radio button to view this number in Hex format. Use this number to find the file store folder and root store database file. Note: The file store data and the root store database must all be from the same point in time. Rename the old file store folder and the old root store database file to retain a copy. Replace the file store data with the data from your backup. If copying data from multiple file stores, data must be placed in the same respective file store location. Replace the root store database(s) with the database from your backup. Remember that this backup must be from the same point in time as the file store data. When this data has been restored, stats need to be rebuilt for the affected roots. Open an elevated CMD prompt and navigate to [target drive:]\Anchor Server\bin (the path to which you installed the Anchor Server). Note: Make sure to replace PASSWORD with your PostgreSQL password, and ID with the root_id value you recorded earlier. Your PostgreSQL user password is listed in the [portal] section of your Anchor config.ini file ([target drive]:\Anchor Server\conf\config.ini).